It’s easy to get caught up in the same recipes year after year. They’re classics for a reason, right? 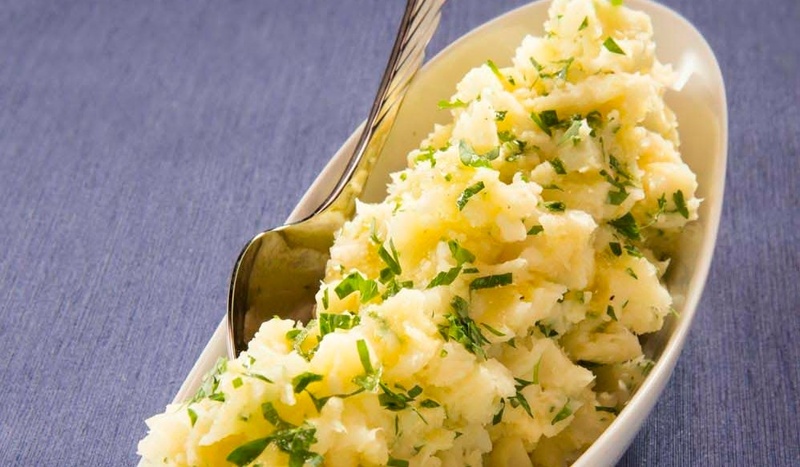 Add a different twist to a menu mainstay – mashed potatoes – with extra virgin olive oil, garlic and parsnips. Split the garlic head in half to expose the cloves. In small loaf pan, cover garlic heads with extra virgin olive oil. Place foil over pan and place pan in 250-300 degree oven until garlic is fully cooked and soft. Remove garlic heads and pop out cloves. Strain extra virgin olive oil to remove any skins. Puree cooked cloves with strained oil. Combine potatoes and parsnips in water, boil until tender. Drain well. In a large roasting pan, smash drained potatoes and parsnips with a fork. Season hot potatoes and parsnips with garlic olive oil, parsley, salt and pepper. Serve immediately.